(Black PR Wire) ATLANTA - Spelman College was named among the nation’s colleges and universities that produced the most 2016-2017 Fulbright U.S. students. The Fulbright Program is the U.S. government’s flagship international educational exchange program. Top-producing institutions are highlighted annually in The Chronicle of Higher Education. The College prepares its students to be global leaders by making available opportunities for them to conduct research and engage in study abroad experiences. Fulbright is one of numerous notable programs to recognize Spelman students for their academic achievements and potential in the global arena. From 1999 to 2017, 48 Spelman students have been awarded Fulbright fellowships. Four graduates won Fulbright awards for 2016-2017, placing the College among the top 35 bachelor’s degree institutions to produce Fulbright fellows. Spelman’s awardees, who will participate in the Fulbright English Teaching Assistant Program, are: Lindsey Burgess, C’2016, history major, (Morocco); Jumaanah Harris, C’2016, English major (Malaysia); Sarah Brokenborough, C’2016, comparative women’s studies major (Laos); and Tyra Beaman, C’2016, international studies major, (Dominican Republic). Since its inception in 1946, the Fulbright Program, sponsored by the U.S. Department of State’s Bureau of Educational and Cultural Affairs, has provided more than 370,000 participants — chosen for their academic merit and leadership potential — with the opportunity to exchange ideas and contribute to finding solutions to shared international concerns. More than 1,900 U.S. students, artists, and young professionals in more than 100 different fields of study are offered Fulbright Program grants to study, teach English and conduct research annually. The Fulbright U.S. Student Program operates in over 140 countries throughout the world. Lists of Fulbright recipients are available at: fulbrightonline.org/us. In the United States, the Institute of International Education administers and coordinates the activities relevant to the Fulbright U.S. Student Program on behalf of the Department of State, including conducting an annual competition for the scholarships. The Fulbright Program also awards grants to U.S. scholars, teachers and faculty to conduct research and teach overseas. Two Spelman faculty have received Fulbright awards since 2010. Most recently, Kimberly Jackson, Ph.D., Spelman associate professor of chemistry and biochemistry, taught in Antigua and Barbuda in 2016 as a Fulbright Scholar. She spent the spring semester at the University of West Indies teaching “Communicating Chemistry Through Local Cuisine,” a biochemistry course with infused food chemistry modules. Some 4,000 new foreign Fulbright students and scholars come to the United States annually to study for graduate degrees, conduct research and teach foreign languages. 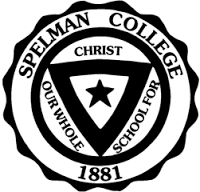 Founded in 1881, Spelman College is a highly selective, liberal arts college widely recognized as the global leader in the education of women of African descent. Located in Atlanta, Georgia, the College’s picturesque campus is home to 2,100 students. Outstanding alumnae include Children’s Defense Fund Founder Marian Wright Edelman, Sam’s Club CEO Rosalind Brewer, Broadway producer Alia Jones, former Acting Surgeon General and Spelman’s first alumna President Audrey Forbes Manley, Harvard University Professor Evelynn Hammonds, author Pearl Cleage and actress LaTanya Richardson Jackson. For more information, visit spelman.edu.